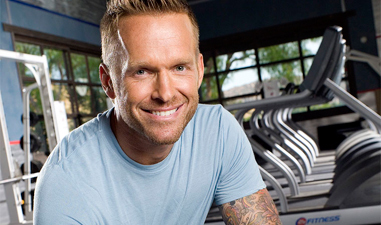 THE BIGGEST LOSER: Bob Harper’s Infomercial Diet Product! For many Americans struggling with the battle of the bulge can be an all out WAR. But fighting that battle just got a little easier thanks to NBC’s “The Biggest Loser” fitness trainer, Bob Harper and a new infomercial (that starts to air sometime in February) for his new dietary supplement and exercise program. Harper, originally from Tennessee, began his road to fitness in a small gym next door to his college place of residence. Not a natural athlete, Bob noticed day after day all these people who seemed stress and dragging their butts into the gym would leave the gym looking revitalized, refreshed with a renewed energy. That’s when Harper decided to check-out what was turning these CRUDS into STUDS. Harper joined the gym and found his life purpose – fitness. He realized what everyone else already knew in the fitness world that working out changes you for the better. This includes physically, mentally and emotionally. Bob soon became a certified personal trainer, moved to Los Angeles CA and began training celebrity clients beginning with Jennifer Jason Leigh. in 2005 Harper landed an audition to be one of two fitness trainers and was inevitably hired to join NBC’s reality weight loss competition show “The Biggest Loser”. In 2008 Harper released his book entitled Are you ready! : Take Charge, Lose Weight, Get in Shape and Change You Life Forever. Now in 2011 Harper teams-up with WIN Entertainment and IOVATE Health Sciences to bring worldwide- Bob Harper’s new dietary supplement which is clinically proven when combined with a proper diet and exercise program to boost weight-loss results, while providing a Gluten Free Vegan and Vegetarian friendly product. I had the pleasure of being in the audience of this new infomercial, which was filled with about 35 people looking to lose 30-50 pounds and I have to admit Bob Harper is a very motivating speaker and the product seemed great, We were able to ask Bob questions on camera and he eloquently answered each of them. However they never gave us any of the products to take home which was a bummer. I am curious to see the before and after results of the participants who did try the product and hope to see them become victorious over the Battle of the Bulge!